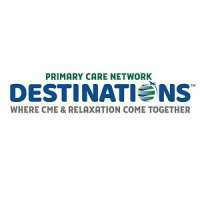 Primary Care Network proudly presents PCN Destinations: Where CME and Relaxation Come Together, a series of cutting-edge continuing medical education conferences set in fabulous vacation destinations across the United States. Focusing on topics important to primary care providers in an intimate and interactive environment. Half day morning sessions feature the latest advancements in diagnosis and treatment, challenging case studies and group discussions while leaving your afternoons free for exploring, relaxing, and having fun. The goal is to recharge your energy level and your knowledge! Bring your family, friends or colleagues and enjoy a mini-vacation while earning CME credit. Hilton San Diego Resort & Spa on Mission Bay offers a variety of options for the entire family to enjoy – from spa treatments and tennis to sailing and splashing around the pool, we have it all! With romantic palms and perfect sandy bayfronts, this bayside hotel retreat is complete with waterfront dining options, state-of-the-art event space, a spa and fitness center, and beautiful resort guest rooms. Kids love vacations too and there’s plenty for them to enjoy in San Diego, including the seasonal Kids Kamp, swimming, beach games, bike rentals and much more. Join us for dive-in movies by the pool and s’more making in the fire pits on the bay. This Mission Bay waterfront resort near SeaWorld San Diego is your perfect vacation destination. Wherever your inspiration comes from, the Hilton San Diego Resort & Spa is your destination retreat. San Diego is home to world-famous attractions such as SeaWorld and the San Diego Zoo, but it also features some lesser known, but equally impressive points of interest such as the Historic Old Town, Seaport Village, and the Gaslamp District. With the history of San Diego being tightly intertwined with the origins of California itself, there’s plenty to discover for adventurers of all ages.